Alec has built up a strong reputation as a professional and reliable Presenter, Chair and Compere of events, with an easy and relaxed style. 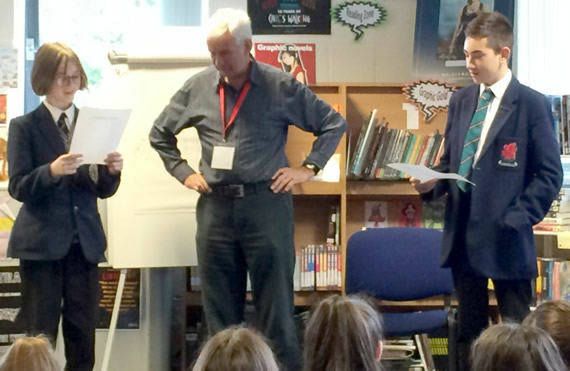 A regular presenter of the North East Book Award and the North East Teenage Book Award events, he has also presented book award events in Stockport, Cumbria and Berkshire. For the last three years, Alec has compered major national events such as the Kids’ Lit Quiz National Final, and the School Library Association’s ‘Celebration Day’, when two of their main awards are announced. Alec has also acted as presenter for local authority events such as Bradford Libraries’ ‘Big Day’, along with Carnegie Shadowing events, and has introduced and interviewed speakers at national conferences. Alec’s work outside the libraries/reading world include facilitating at events such as the Civic Trust's ‘Heritage Open Days’ events. If you would like Alec to present your event, contact him for more details.